In celebration of the New Year my son designed a new logo for me and I am sharing my latest and first pattern for 2015!!! This scarf is very addictive to make - and being so economical and easy too you could make as many as you feel inspired to! This is a "long triangle scarf". Shaping is done on one side of the scarf only. The top edge remains straight. The pattern repeat is 1 row hdc; 1 row dc - worked over Rows 4 - 7 for the "Increase" half of the scarf. The pattern repeat of 1 row hdc; 1 row dc - is worked over Rows 8 - 11 for the "Decrease" half of the scarf. You will be decreasing at the end of every hdc row. Repeat Rows 8 - 11 until there are 3 stitches left, omitting Row 11 on your last repeat (in other words, your last pattern repeat will be Rows 8, 9 and 10). Break off yarn. Braids: Pull a double strand of yarn through a stitch at the end of your scarf (until you have two equal lengths). Start twisting both lengths in the same direction. Once they are tightly twisted, hold them together and gently guide them to twist in the opposite direction. Knot the end of the braid. I added three of similar (not exact) lengths to each end. Flowers: Add a PANSY or a button or two at each end and you are good to go! Thank you so very much to Leanne Nisha and Laura Brozo for testing the pattern for me, and Michelle Westlund for proof reading the pattern! Beautiful! Thank you so much for sharing, I love your patterns - and your new logo! Happy New Year! This is beautiful. Thank you so much for sharing your fabulous work. Happy New Year! Love your updated logo - your son is very talented! Thank you so much Happy New Year, God Bless you and yours!! thank you for sharing your talent with us and Happy New Year, God Bless you and your family. Your son did a good job on your logo. I love the new look. Thanks for sharing the new pattern with us. I'm having problems with the pattern.. I can't keep track of what the V's are and there's not a total at the end of the row of how many hdc's or dc's you're supposed to have. Does the space between the hdc's or dc's count as a V too? in all the colours you've used! Thanks for sharing. I gave you credit for the pattern. I love this scarf. I made two of your road trip scarves for my etsy shop: knitmaniac. I gave you credit for the pattern in the scarf description. Love this scarf. It looks great made up in the different yarns. Thank you for pointing that out - it was in fact a typing error - it should indeed be hdc! Are you able to add the stitch count at the end of each row? I'm getting confused at the 4th and 5th row. What beautiful scarves! This sounds like it will be perfect for the upcoming Spring season. Thank you Alexandra! I have linked up! Super cute! I love the uniqueness of this scarf! I think the blue one at the end is my favorite. Thanks for sharing at The Yarn Fanatic Party! I hope to "see" you there again! I am having trouble reading the instructions and understanding the hdc and the "v". I am new to crocheting and hopefully you will have time to do a tutorial soon. I love your blog and all of your patterns. Confused at end of row 10. I hdc in V and then 2 hdc into turning chain. This means on row 11 when you DC into space before first V that the DC starts too far into row 11. Does that make sense??? Please help! Need one of these for myself! Beautiful! Need one of these! Beautiful! Love this scarf and I get a lovely straight edge both sides on the increase half. however, when I get to the decreasing part my decrease line goes wobbly, cannot work what I am doing wrong. I have made a few of your RTS scarfs and love your patterns. This is a very pretty scarf. Not too long, not too short. Great job! Thank you for sharing this pattern. I am at halfway point as well, and confused about instructions on row 8 and row 10. Row 8 says to repeat to last V, then crochet 2hdc together. Shouldn't the 2hdc together be over the last TWO stitches? Also, the "anonymous" poster above questioned the instructions at end of row 10....she wanted to verify that in the last V you DC into it, not Hdc......you replied, "yes was a typing error, should indeed be Hdc". So what is it : Dc or Hdc ?? 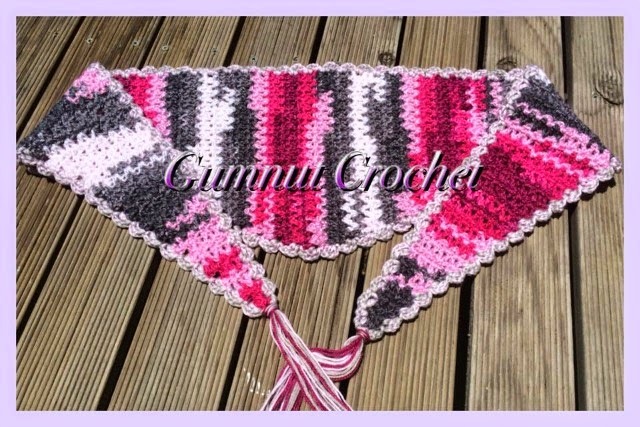 Looking forward to a reply ASAP, please, as I am crocheting this lovely scarf as a gift. Hi Pennie - I rewrote Row 10 to make it easier to follow - does it make sense to you?? Can you please clarify the directions for the end of row 10 ?? thank you....love this scarf ! Row 9 dc into each V; there is only a V in every other stich is that correct it seems to be pulling too much, not sure if I'm doing it right can anyone help me? Love this pattern. Could you please do a picture tutorial of each round, like you did with the Road Trip scarves? I made an RT scarf for my sister....she loves it. Two of her friends asked me to make the scarves for them as well! Hi Maria! Busy working on the Tutorial - I will post the link on my Zooty Owl Facebook page as soon as it is ready! thank you ! a tutorial will be most helpful ! I must be a complete dolt.....I have followed the instructions to a T, via the written pattern and also with the tutorial (THANKS ! ).....but I seem to be decreasing at a much faster rate than the increases,so the scarf looks weird. Frogged it twice now back to the halfway point. It seems like it is decreasing TWO stitches instead of just one....and the confusion still seems to be with row 10. What am I doing wrong ???? Can't seem to get the decrease correct. Have ripped it out 3times now. Any assistance would be greatly appreciated. This is an absolutely beautiful scarf! I have made 2 of them so far back to back and plan on making several more for the holidays! I made one in Red Heart Icelandic with White, Grey and Turqua combined in it with a white edging and the last one that I just finished up a few minutes ago, I made in a solid Red Heart Aran Fleck with a Grey edging. I can't decide which one is my favorite, they are both so beautiful! My sister stopped by the other day and saw the Turqua one laying on my table getting ready to wash and in her oh so non-chalant way made it known how much she loved it and would love to have a 'scarf like that'! LOL I guess I know what I'm making her for Christmas! My daughter just bought a cute little black coat for winter with a grey interior so the Aran Fleck one is going to look absolutely beautiful with it. I'm going to make a grey hat with a couple flowers made from the Aran Fleck if I have enough of it left. 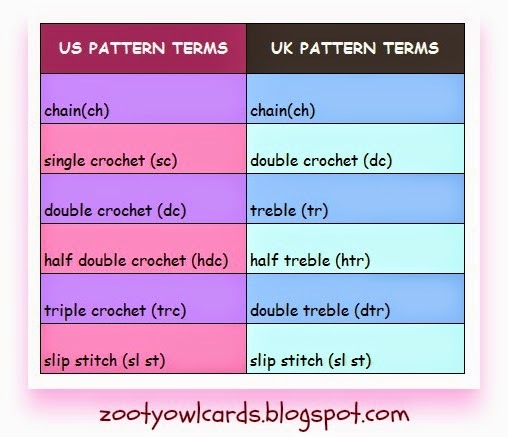 Your pattern is perfect and so easy to read and understand. And it was so easy to keep track of where I was at with the pictures as I would just move the screen to what row I was on to the center so I never lost track! Hi Theresa - if you want the scarf rectangular, follow the stitch pattern but do not increase / decrease. f you want the ends shaped, follow the increase part of the pattern for a couple of rows (depending on how long you want the shaped part), then follow the stitch pattern without any increases. When the scarf is almost long enough, follow the decrease portion of the pattern for the same number of rows as you did at the start (increase side). Hope that makes sense?